The location was in front of my home in Bethesda, Maryland. The "Take it!" 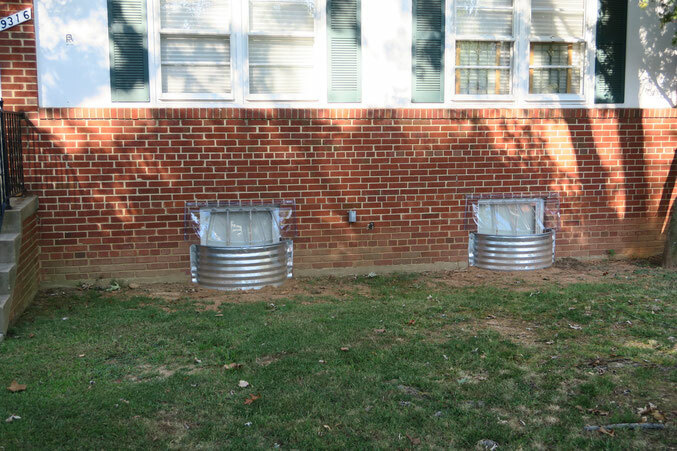 came as I have had some time to have set in the peace of mind that has arrived in having had basement window wells installed in the front of my house. This is something I have been putting off for a number of years as seemed to always have another use for the money it would take to do the job. The fact of the matter was that the real benefit was available in finally not having to worry about the possibility of the basement flooding each time we had a heavy rain. Rain water would form a puddle right in front of the windows and while it was raining would inch up toward the sill. The next door neighbor had a small company come and put in a basement window well where they had actually had some occasional flooding. I spoke to the installer and got his business card. I asked that he give me an estimate for the two windows at my house and walked with him as he took a break from his work to show him the location. It took him all of an instant to give me what I though was a reasonable price. That was last year. At the beginning of spring this year I called him and arranged for an install date. 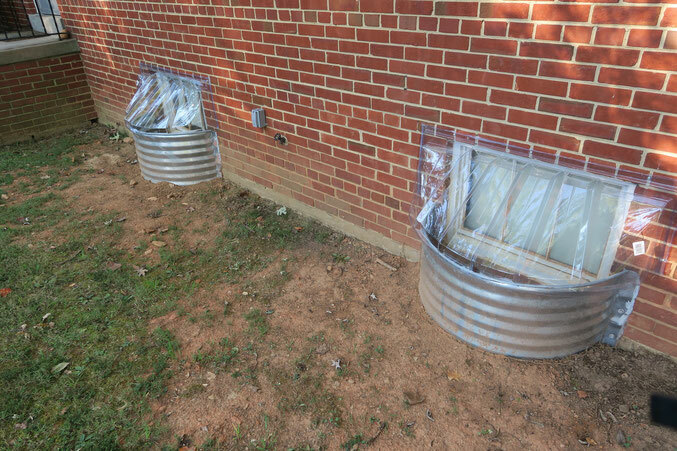 Three weeks later (after a rain delay) the protection was put in place and I began the gradual process of enjoying no longer having to worry about this ever so fixable nuisance. The After Take: As fate would have it, sometimes there is a prize for doing what needs to be done. 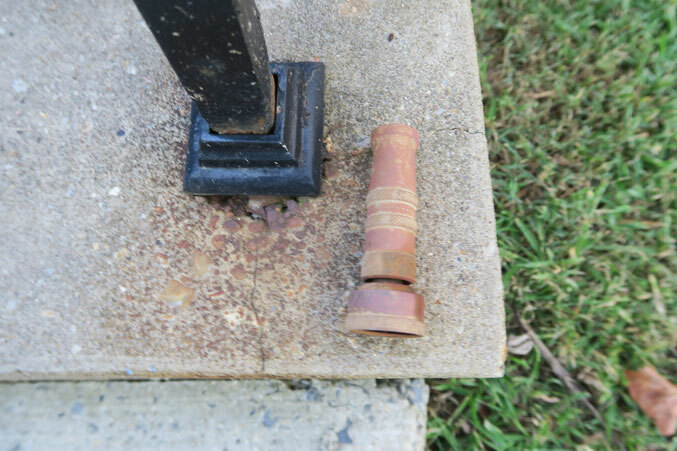 In this instance, a solid brass nozzle was unearthed. Even though it was buried for who knows how long, I am in the process of cleaning it up to possibly use again. I will probably even take it to the plating shop that I use and ask them to give it the full buffing shine treatment. I think it very fitting that it is made of brass, as it was in another form, the catch of the brass ring while riding the merry-go-round of life. Wishing each of you, a brass ring moment. Each of us has more of them available than we can imagine. PS: Back to a childhood memory. When I was a child, our family would sometimes visit my Aunt and Uncle, and their two boys (our cousins). On some occasions these visits would be in the Summer and a small amusement park would be open. We would always ride the merry-go-round. The big excitement was always the chance to catch the brass ring and not only be the envy of all the other riders on the outside horses, but also be entitled to cash it out for a free ride. Even though I was very young, and could not reach the brass ring dispenser, I would stretch myself out there anyway, to give it a try. Some other older child or an adult would always be the lucky winner and almost without fail, let out a whoop or some other form of verbal exalting of victory and hold the ring up high for everyone to see their short lived trophy. I think the ride operator just as soon as the ring was caught had someone go to the winner and immediately give them a ride redemption coupon and retrieve the brass ring. I cannot remember exactly, but think the other iron rings were tossed into a bucket near the the ring dispensing arm to be used in the reloading for the next ride and chance at the prize. I always watched with fascination as the ride servicing person climbed the small set of stairs to get to the open top of the ring dispenser to load the slot that was gravity fed for the rings. They would load it with enough iron rings first, so that one could not see the brass ring before the ride got started. If memory serves me correctly, the ring arm was not swung into place until after the carousel had gotten started and brought up to speed. There would then be a big announcement (that was met by cheers) and the dispensing arm - pushed into place by the attendant. Part of the game - was watching through the open slot in the side of the arm - to see when the brass ring would appear. With the showing of the brass - would come more whoops and yells as the competition intensified to be the one to catch it. Near and far misses all had their own verbal accompaniment. I will Google, to see if the park still exists. The strangest things can bring back the most random of memories. I too am familiar with the phenomenon. Wow! Those look great!! Looks like added home security too! Excellent craftsmanship. If leaks were a problem it must have been a great investment. In all my years I have never thought to polish a hose nozzle. Does it have some sort of sentimental value? How very interesting. Those look really cool. I've never seen anything like that before.